Fiberglass plate choices include surface finish and plate thickness. Pultruded Fiberglass Plate is industrial anti-slip flooring that is corrosion resistant and outlasts traditional building materials like steel and even stainless steel plate. 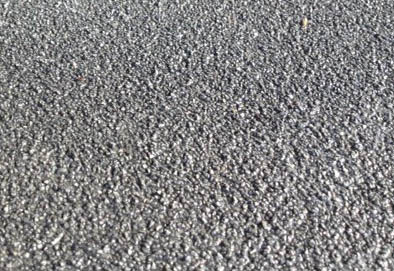 Most safety flooring applications will benefit from using Fiberglass Plate, and the different types of grit (smooth, fine, diamond) can give slip resistance in a wide variety of situations. Fiberglass plate is light in weight and is easy to install, and at the same time is durable and sturdy. The corrosion resistant nature of FRP pultruded structural products like plate is a strong advantage in situations where moisture or chemicals are present. FRP Plate comes in thicknesses ranging from 1/8″ to 3/4″ and various resin systems and colors. Plate can be installed on fiberglass grating, for heavy loads and complete flooring system with all the benefits of fiberglass reinforced panels. View our spec sheet for the fiberglass plate products we carry. Contact us to get the best price and delivery on fiberglass plate for your project. Fiberglass plate comes in several colors. We have a distribution center near you. National Grating provides fiberglass plate, ,fiberglass grating, fiberglass tube, fiberglass angle and hardware to ALL USA States including California, Oregon, Alaska, Florida, New York, Illinois, Pennsylvania, Ohio, Georgia, Michigan, Virginia, Massachusetts, Arizona, Washington, North Carolina, Nevada, Texas, New Mexico, Indiana, Tennessee, Colorado, Maryland, Missouri, Wisconsin and Utah. Our pricing and service experts are standing by to help to find the best product for your project. With many plate varieties in stock and expedited shipping, we can supply your project with fiberglass plate at the best price. In today’s connected world, we depend on cellular telephone signals, Wi-Fi networks and over the air radio and television signals. Wi-Fi and Bluetooth connectivity are essential to on-site work environments. Steel structures significantly disrupt these signals. Fiberglass plate and grating are an essential part of FRP building structures that are “electronically transparent” and do not interfere with radio frequency transmissions.